After the success of their first CUFF label showcase back in August, Ministry of Sound will host Amine Edge & DANCE on Saturday 6 December from 11pm ‘til 7am. The French duo are known as the figureheads of G-House, a movement they created. The G-house sound is a combination of deep, funky basslines and vocal elements inspired by ‘80s hip house with hip-hop in its soul. 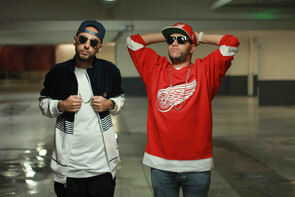 Following releases on Noir Music, Exploited and Pleasure Garden, Amine Edge & DANCE have arguably earned themselves a reputation as one of house music’s coolest pairings. The duo were recently chosen by Tiga for official remix duties on his 2014 track, ‘Bugatti’ and are currently working on their own debut album, due for release on their label, CUFF. Joining them in The Box will be fellow Frenchmen Chicks Luv Us, three young resident DJs from Spartacus, Marseille's electronic music club. Over the last three years, the DJ/producer trio has played at some of the finest clubs in Europe. They will be supported in The Box by STUFF and Sirius Hood. 103 will feature CUFF regulars Clyde P, Tainted Souls, K-LAGANE, SION, and Ryan Blyth. A second episode of ‘The Road To Ministry’ video mockumentary on the UK shuffler scene is being completed to tie in with the party.